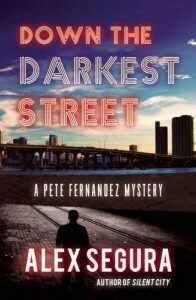 I've used the train ride back from Boston to catch-up on on 'Down the Darkest Street' by Alex Segura. And ... it's really, really stellar character work here, with a gripping narrative, and a Miami so vivid that you feel like you almost live there. A very strong follow-up to Silent City.